9 month old Gavin for sale. Apple Green and Cherry Red made from lightweight satin fabric. Very current style. 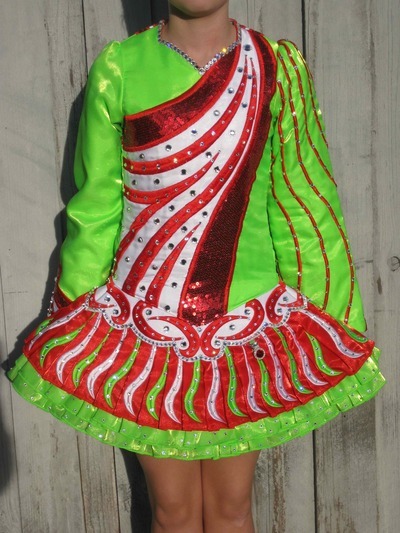 Dress was made for 2011 World Championships. Dress is covered front and back with 100’s of Swarovski crystals. Very striking on stage! Dress is in immaculate condition. Wicking top always worn. No odors or stains. Dress was designed to elongate a petite dancer. 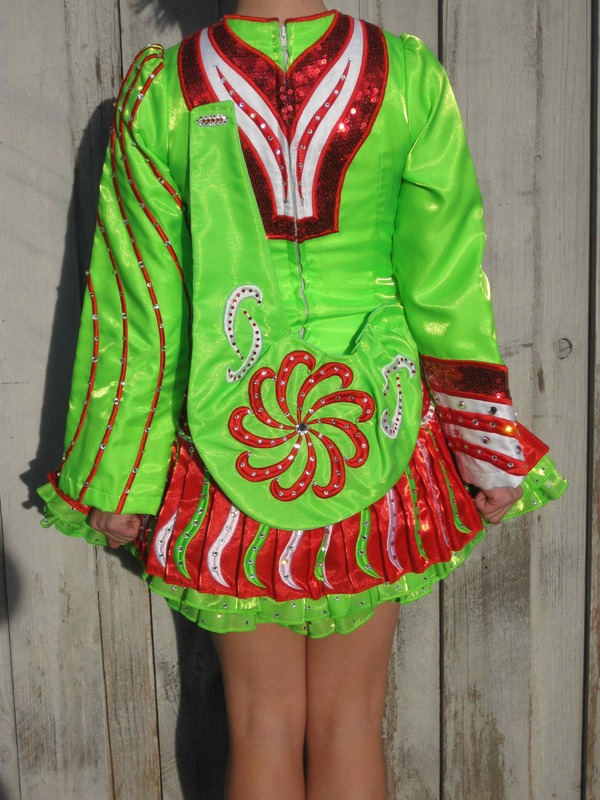 Dancer is 14 but wears a US girls size 10/12. Dancer 4’11’’. Dress comes with a custom made red satin headband from Tillie’s Tiaras. Apple green lycra boy shorts also included. Comes from a smoke free home and stored in a spare room away from dogs. I am happy to provide additional measurements or photos.